LED TVs. For those who love console games, it’s a good idea to consider purchasing an LED TV. Energy efficient, slim and capable of producing a stellar picture with nearly perfect contrast, LED televisions are one of the most popular equipment choices among console gamers. In fact, according to reviews published by CNET, these TVs are so widespread among gamers that many of them even offer a mode specifically designed for gaming. Gaming Computers. P.C. gamers who are serious about their craft almost have to spring for dedicated gaming computers with today’s games often requiring the latest in graphics processors and video cards. Often custom-built to suit user preferences, these machines are designed to provide gamers with a smooth performance, great visuals and lasting stability. Headphones and Speakers. Whether gamers are using consoles or computers, sound quality is extremely important. Serious gamers are always looking for the best sound system, and many of them upgrade their speakers frequently. For gamers who enjoy multiplayer experiences, headsets with microphones are also a common investment. Gaming Chairs. Gamers who spend the majority of their time on consoles often invest in high-quality gaming chairs. These chairs are typically designed to be ergonomic and comfortable while simultaneously enhancing the gaming experience through built-in speakers and vibration. Most of these chairs can be adjusted to accommodate the gamer’s individual preferences for height, volume, vibration strength and more. After purchasing high-quality equipment and accessories, many gamers go one step further by modifying the equipment manually to improve the gaming experience even more. For example, PC gamers with computer-building skills may add a new graphics card or some extra memory. 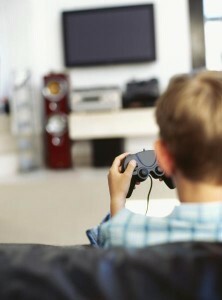 Gamers may also alter the computer or television’s settings for better visual or sound quality, or they may alter a computer’s system settings to improve speed and performance. For most serious gamers, searching for new equipment and fine-tuning current settings is an ongoing process. As new equipment becomes available, gamers immediately begin to think about their next purchase. Depending on the available budget, gamers may update their equipment and accessories as frequently as every six months. For gamers who can’t afford to buy new equipment that often, tweaking the settings and smaller, manual upgrades are typically the strategy of choice.